Dandelion – A gardeners nightmare or cooks delight? Mention Dandelion to any gardener who loves their lawns and they will tell you a few stories about how difficult these plants are to get rid of, and how pernicious these weeds can be. Dandelions belong to the Taraxacum genus of the family Asteraceae and found in most of Europe and North America. They tend to have leaves that are flat and close to the ground and produce bright yellow flowers throughout late spring and summer. Whilst the flowers tend to brighten up any wasteland, they also grow happily between grass in lawns. Due to their low habit, they avoid being cut down by standard lawn mowers. Every plant produces a beautiful spherical head of winged seeds that easily disperse in the wind (see below). The recent series of television (Masterchef: The Professionals) had a cook James Burton using Dandelion roots in cooking! Till that time I’d no idea that these plants were edible, so used as I was to zap them with weed killer on first sight. Reading up a little more on these plants, it turns out that the dandelion leaves are an excellent source of iron and calcium (more than spinach)! So the next time I see these growing in my garden (which I’m sure I will), I’ll be reaching out for a recipe book and not my glyphosate containing weed killer! 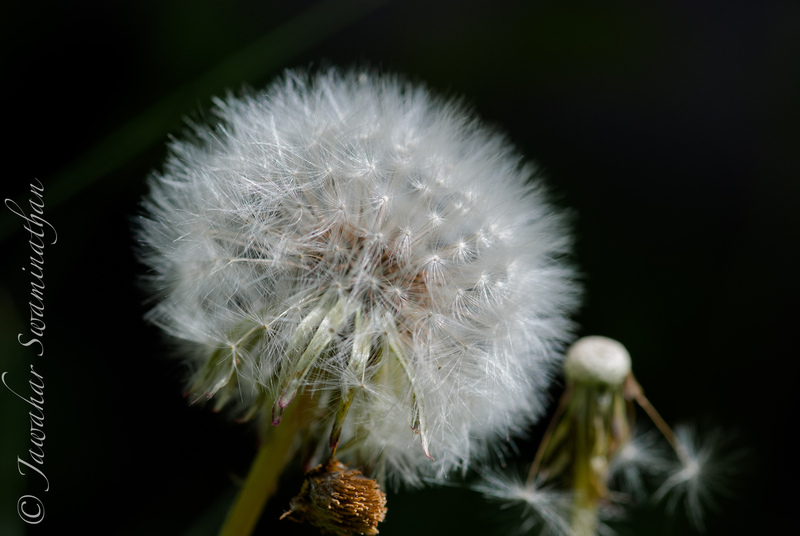 Posted on December 10, 2012 December 10, 2012 Categories Cooking, Kitchen Garden, PhotographyTags Asteraceae, Flora and Fauna, Flower, Macrophotography, Nikon D80, Photo, Photography, Taraxacum, wildflowers3 Comments on Dandelion – A gardeners nightmare or cooks delight? 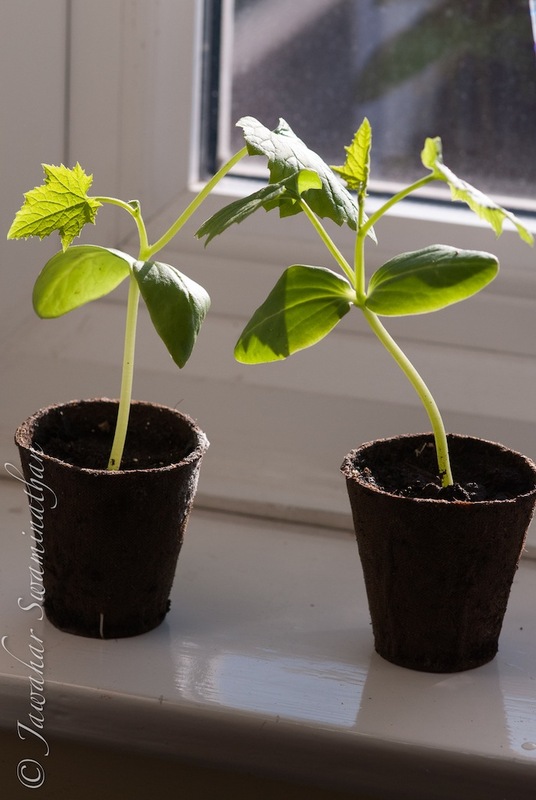 My previous two posts on the same subject commented on the germination, and growth of calabash and other indian vegetables in the UK. Unfortunately for us here in the United Kingdom, this was the wettest summer in the last 100 years. With lack of sunshine and lots of rain, many of the experiments I had planned to conduct on the efficacy of growing traditional indian vegetable came to nothing. However, it was not all doom and gloom, and I’ve actually managed to harvest a few calabash (lauki, dudhi) this year (see picture below). The plants are now well over 10 feet long and have many young fruits on them (sadly, I think the winter will catch up and kill them before they get a chance to mature). Lauki/Dudhi fruit about one foot long. I have also had limited success with indian green aubergines (but not spectacularly). At the end of the year, these are the lessons I’ve learned. 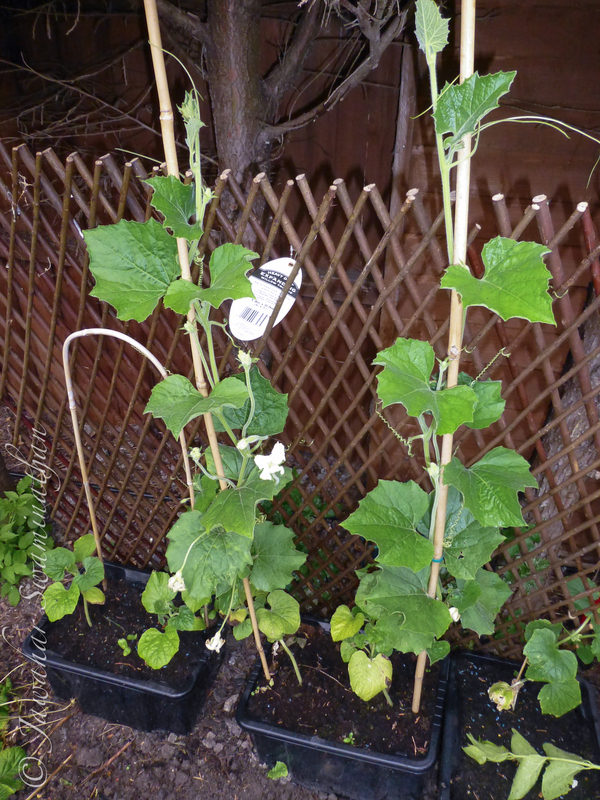 Plants such as Lauki and Karela are vigorous climbers and therefore need stable and strong support. They also grow really long (10 feet or more). Once the first flowers appear, feed once a week with high potash fertilizer like tomorite. Keep harvesting regularly to keep the flowers going. My last post in March on this subject dealt with the sowing and germination of often sought after indian vegetables that are difficult to grow under the temperate and wet conditions of the United Kingdom. 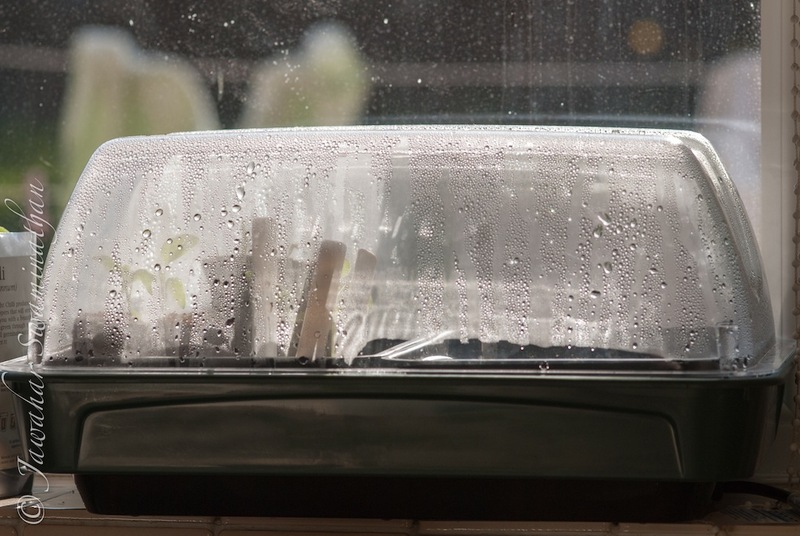 This growing season has been one of the worst in the UK, with record rainfall and plummeting temperatures. As a result, the seedlings have had a long stay in the germinator and pots in a makeshift greenhouse. 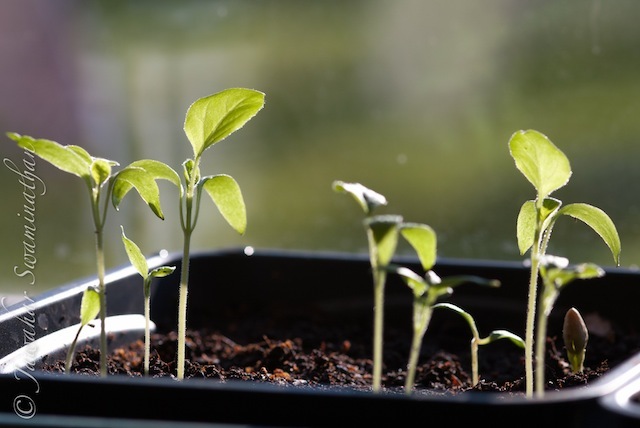 Ideally, the plants should have been out in their final positions by the beginning of May, but due to inclement conditions, they were only put outside in the beginning of June this year. 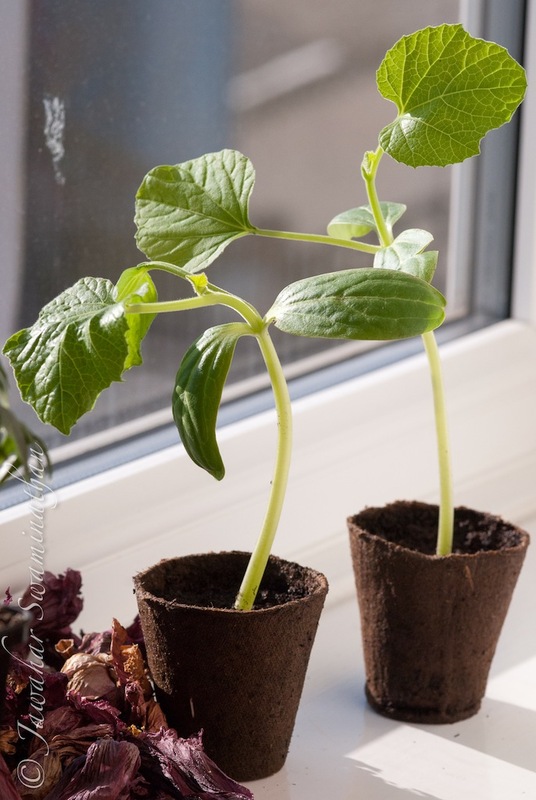 Lauki (Calabash) – The young plants have all survived the first growing phase, and were planted into plastic containers, with supporting stakes to give support to the delicate stems of the plant. Once the plants reached about a foot tall, they were trained on a trellis to enable their tendrils to twine around the support. The plants are in a sheltered place in full sun to maximise their chances of growth. The potting medium was one part topsoil, 2/3rds well-rotted compost and 1/3 grit to give good drainage. Unfortunately, none of the ridged gourd (Turai) or bitter gourd plants made it to this stage, and died due to damping off disease brought upon by the unseasonal spring/summer this year. 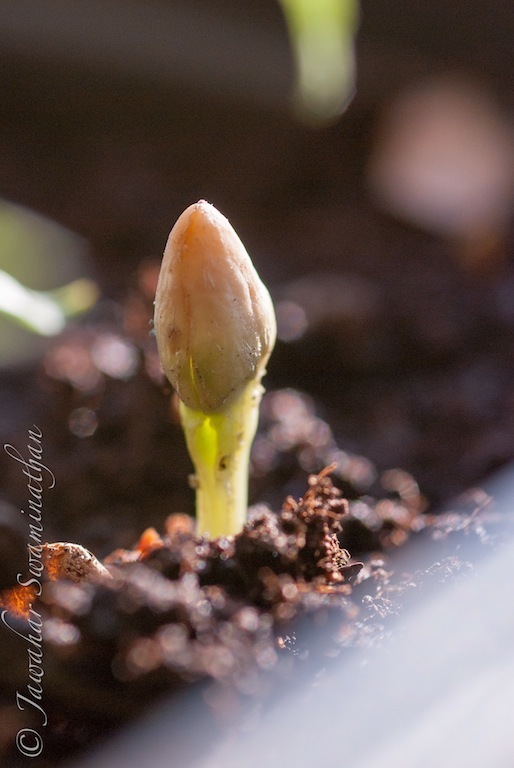 I have planted new seedlings using the methods described before. 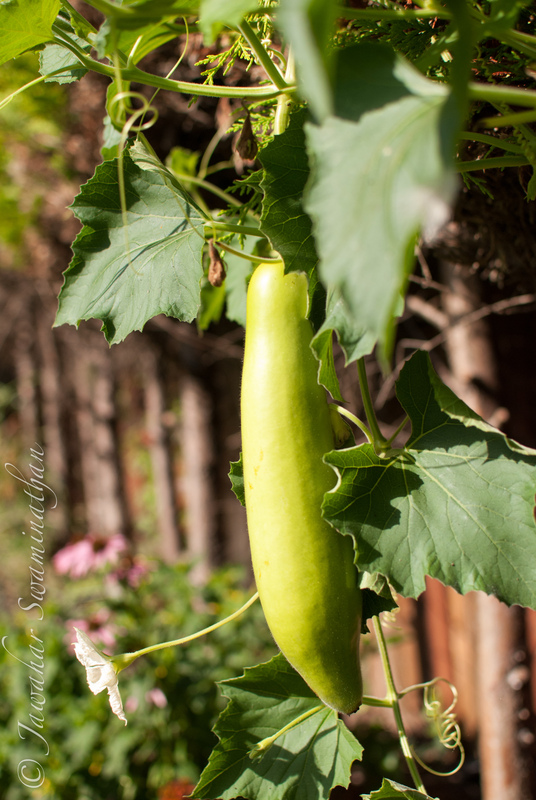 Indian bottle gourd (calabash) plants. About 4 feet tall and flowering. The younger plants on the left are from a second round of germination. The calabash plants are now flowering profusely. 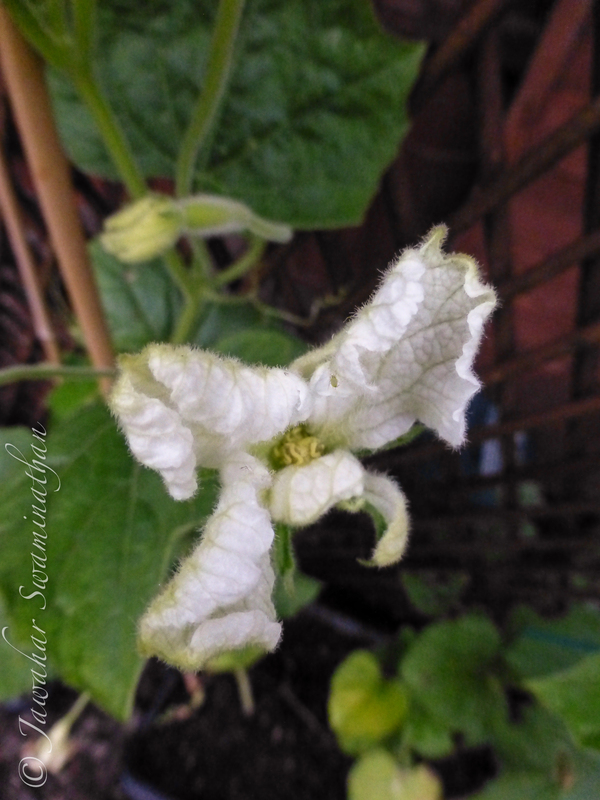 As with all members of the Cucurbitaceae family, the flowers are either male or female. 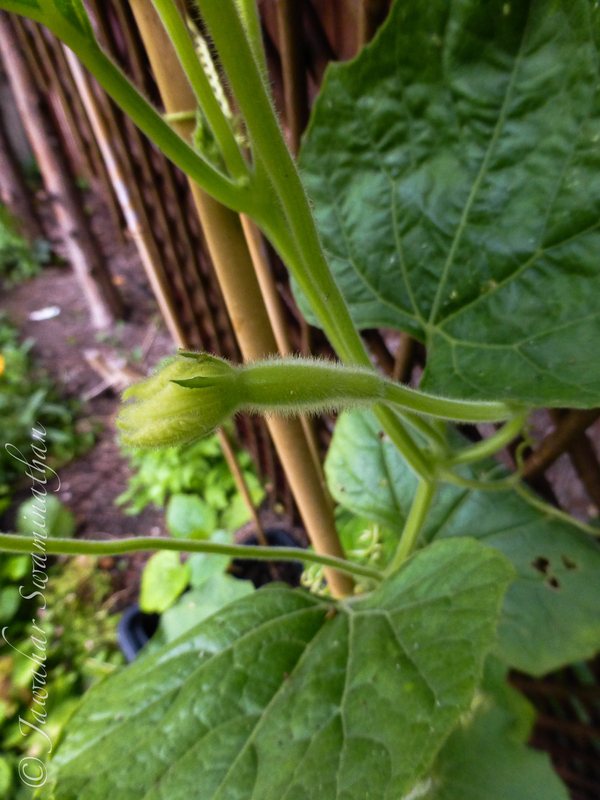 In most members of this family of plants, that include courgettes, pumpkins, cucumbers etc, male flowers are the first to emerge and can be easily identified by their absence of a fruit-like growth at the base of the flower. 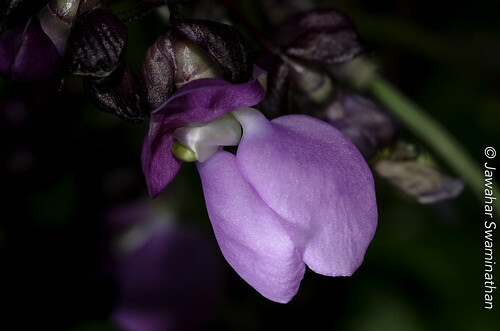 The female flowers appear a little later. The female flowers are easily identifiable by the presence of a fruit at their base (as in the picture below). These plants also branch extensively so it is a good idea to have a trellis or netting that allows for side shoots to grab and grow. Now it is just an issue of wait and watch while the plant grows taller and hopefully produces decent sized gourd for consumption.